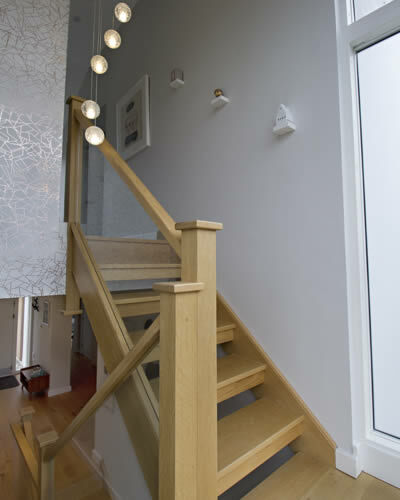 Complete Interior, Architecture Collaboration & Bespoke Cabinetry Design & build for an Entrance, Staircase & Living room. 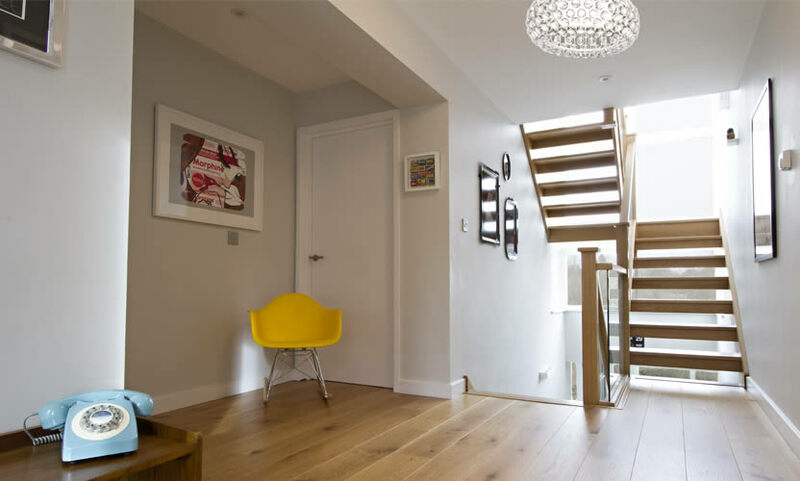 The brief was to help create a statement entrance hall with a feature staircase & modern family living room with a mini-library. 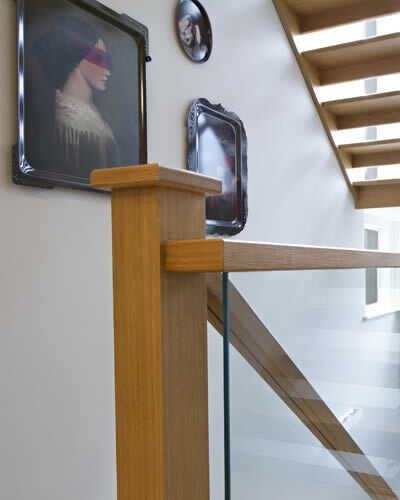 The staircase was designed with a full glass back drop to frame the beautiful country views and let in vast amounts of natural light. It was imperative that the entrance & living room embraced my clients colourful & edgy retro style without detracting from the beautiful architecture. Incorporating some of my clients’ existing pieces and statement art, a mixture of furniture finishes and design eras were added to ensure their retro style was continued within the new spaces. 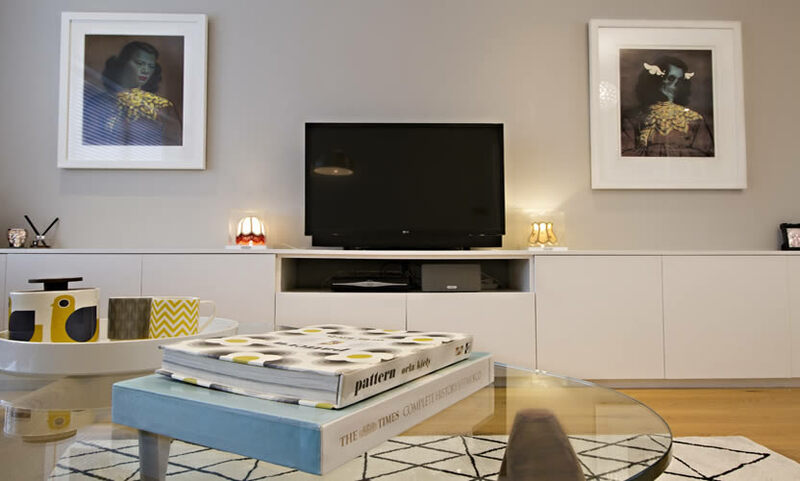 Modern white bespoke library cabinets with a centre window reading seat, as well base units for the TV and storage were designed in an understated modern style to ensure they didn’t distract from the statement interior pieces in the room. Creating a serene, uncluttered interior which allows the remarkable architectural detailing & my clients’ retro style and vintage pieces to take centre stage.